"I have spent my life building bridges and tearing down barriers -- not building walls. That's why I find Donald Trump's belief that an American-born judge of Mexican descent is incapable of fairly presiding over his case is not only dead wrong, it is un-American. "As the Presidential campaign progressed, I was hoping the rhetoric would tone down and reflect a campaign that was inclusive, thoughtful and principled. While I oppose the Democratic nominee, Donald Trump's latest statements, in context with past attacks on Hispanics, women and the disabled like me, make it certain that I cannot and will not support my party's nominee for President regardless of the political impact on my candidacy or the Republican Party. "It is absolutely essential that we are guided by a commander-in-chief with a responsible and proper temperament, discretion and judgment. Our President must be fit to command the most powerful military the world has ever seen, including an arsenal of thousands of nuclear weapons. After much consideration, I have concluded that Donald Trump has not demonstrated the temperament necessary to assume the greatest office in the world." 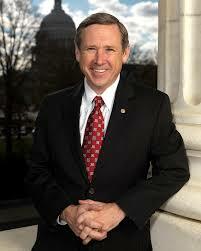 Senator Kirk, it should be noted, has made every "most endangered incumbent" list. But still. A most honorable and principled evaluation of an unprincipled and dishonorable candidate. Mark Kirk, the incumbent, is in a VERY tight race against double-amputee and war veteran Tammy Duckworth. It is interesting that he sees no coat tails from the top of the ticket. Illinois is a hot mess of a state right now - with both parties to blame. It will be curious to see who wins that particular race. But it is more interesting that a vulnerable Republican sees the value in repudiating Trump this early in the campaign.